They are the number one biscuit in the US – now Oreos are out to become the most popular cookie in Europe. So that its producer, Mondelēz, can concentrate on its core business, it has put its contract logistics in the hands of a strong partner: DB Schenker. 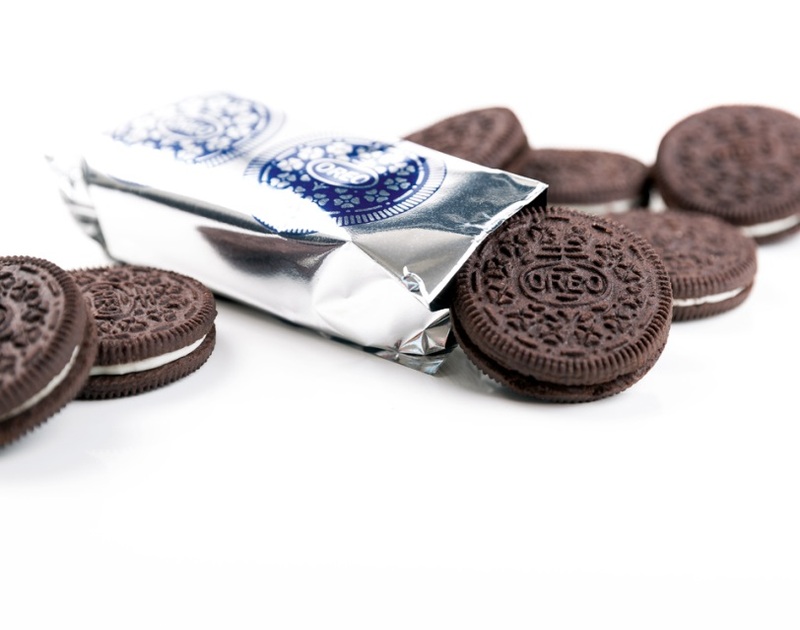 Black and white and round: In the US, Oreos are much more than just a cookie, they are a cult. Oreos are not simply eaten – their consumption is a ritual. Countless fans first twist the two halves apart, indulgently lick out the cream filling and finally dunk the chocolate wafers in milk before biting into them. A few years ago, Oreos ventured the leap to Germany. Now their manufacturer Mondelēz International wants to make them the number one there and in the rest of Europe. The company has even more of these billion dollar brands in its assortment: Milka, Jacobs Coffee, Tassimo, Kraft and Cadbury. This broad portfolio opens up numerous opportunities as it gives Mondelēz the option of combining strong brands. It is no coincidence that the cocoa T-Discs for the Tassimo Hot Beverage System bear the Milka logo, while Milka now produces Oreo-flavored chocolate. Existing brands are also continually being expanded. This is how Mondelēz International ensures its continual growth. The company came into being in 2012 following a spin-off from Kraft Foods, and it supplies the global markets outside North America with snacks and foods. This has resulted in an enormous flow of goods. Nevertheless, every single carton must arrive punctually at the supermarket or convenience store, no more than 48 hours after it was ordered. To ensure that the supply lines never break down, Mondelēz International has drafted DB Schenker into the team as its contract logistics specialist. On-site appointment at the warehouse of the Mondelēz plant in Bad Fallingbostel, just off the A7 highway near Hanover. A red beam scans the barcode over the pallet storage area. The monitor signals that everything is ok, the right brand has been selected. Turan Akyol gets down from his order picker, grabs three cartons, each containing eight bottles of Kraft tomato ketchup, and places them on the pallet. He rushes through the connecting door to the refrigerated section where Philadelphia cream cheese is stored at six degrees Celsius. Akyol, a trainee specialist for warehouse logistics at DB Schenker, stacks eight cartons of cream cheese onto the pallet. “Philadelphia cream cheese is a favorite not only in Germany but also in many other countries,” says Martin Schäfer, Head of Logistics Operations at Mondelēz International. He is in charge of the transport of goods to consumer markets in Germany, Austria and Switzerland, to travel retailers at airports and for exports out of Europe. Schäfer explains. 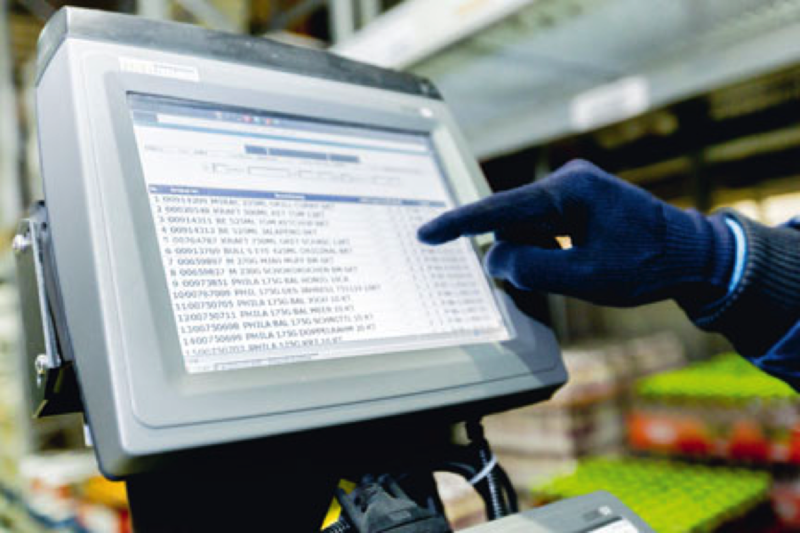 The order is received at Mondelēz via an EDI interface, processed and then relayed to DB Schenker in Bad Fallingbostel. A monitor at DB Schenker displays a list of products Turan Akyol and his colleagues need to pack on a pallet for the customer. The pallet with the completed order then goes directly to the loading dock and travels by truck to the supermarket. “The time frame is, shall we say, challenging,” says Hans­georg Böttcher, Head of the Hanover Logistics Branch at DB Schenker. The much bigger challenge, however, is keeping up with the short-notice delivery peaks for Mondelēz’ products: “In other sectors, like the automotive sector for example, you often know months in advance what’s going to be assembled or transported, and you can adjust your staff accordingly. Food is a very different story. If I hear on Tuesday that good weather is forecast for the weekend, then I can allocate more staff to handle the run on barbecue sauces,” says Böttcher. “It’s not without good reason that they’re called fast moving consumer goods,” he adds with a wink. It was not by chance that DB Schenker was chosen to handle the contract logistics in 2012. “The strategic, Europe-wide development of our logistics network needs international and high-performance partners in Europe,” says Schäfer. “We’re focused on our core business – the manufacture of strong brands. 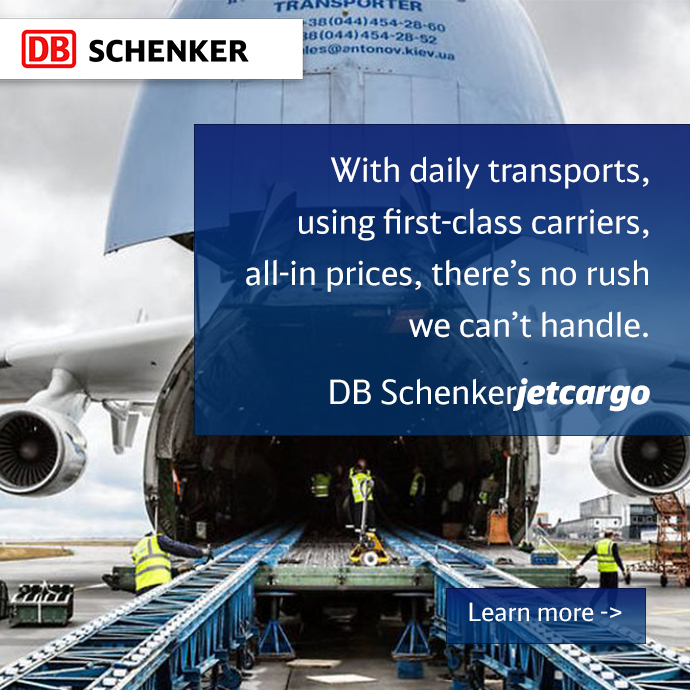 And with DB Schenker, we’ve partnered up with a company whose core business is logistics.” Accordingly, Schäfer expects his logistics partner to provide impulses that further optimize handling. “We not only demand service and cost leadership from our partners but also expect them to fulfill our quality standards. In addition, we also insist on a high degree of flexibility and a tradition of continuous improvement in order to achieve common production and efficiency goals. We found all of that at DB Schenker, and we’re pleased that we could make prompt use of their expertise in Bad Fallingbostel,” Schäfer explains. Thanks to DB Schenker’s established quality assurance standards, it was quickly possible to commit the 170 employees, most of whom had been retained from the previous service provider, to the corporate philosophy and to significantly improve the team’s efficiency. Freshly produced goods from the neighboring plant are delivered by electric suspension trolley to the Mondelēz warehouse, which is equipped with automatic high-bay racking. DB Schenker was able to benefit from the previous employees’ expertise and experience with the facility. By establishing modern work processes based on DB Schenker’s wealth of experience, an average of 100 trucks with a total of 3,800 pallets now leave the loading dock each day. About 570 of the pallets are commissioned. DB Schenker is not only responsible for commissioning the mixed pallets but also for setting up the supermarket display stands. 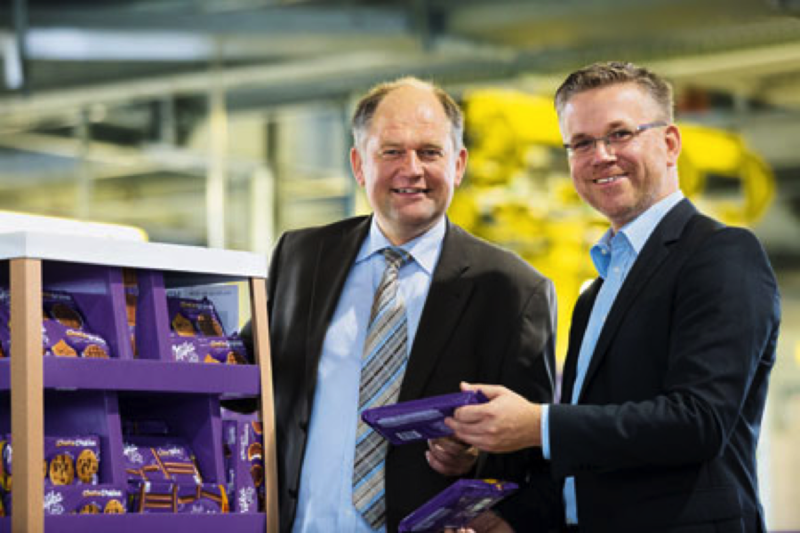 During the tour with Martin Schäfer, several employees are busy stacking Milka cookie packages into the display cartons piece by piece. Watching them prompts Martin Schäfer to chat about the “world of snacking.” A man like Schäfer thinks in treat maps, in treat seasons – and in Mondelēz brands: “Bull’s Eye and Miracel whip barbecue sauces sell best starting in March, Jacobs coffee does particularly well at Easter and before Christmas. In Scandinavia, because of the weather, the whole year is chocolate season.” And while the Swedes prefer Marabou chocolate, Milka is one of the most popular brands in Germany and Austria. The Swiss, on the other hand, are most partial to Toblerone – all three brands belong to the large Mondelēz world. “The biggest surprise recently was Bull’s Eye, a new barbecue sauce. With its bold image it was so successful that we introduced several new flavors, most recently three new kinds of ketchup,” says Schäfer. Three new kinds which Turan Akyol and his colleagues in Bad Fallingbostel also pack onto the mixed pallets and into the displays.